Before Velvet Buzzsaw, Dan Gilroy has directed only two movies, and he is the writer of both of those films. The first one was Nightcrawler, a genius film and clearly one of the best of the year. It is haunting, and Jake Gyllenhaal gives one of his best performances of his life. The second one was Roman J. Israel, Esq., which people like to ignore. I mean, Denzel Washington was nominated for acting from it, but it didn’t have Gyleenhaal so no one cared. It was not was well received as his first film. 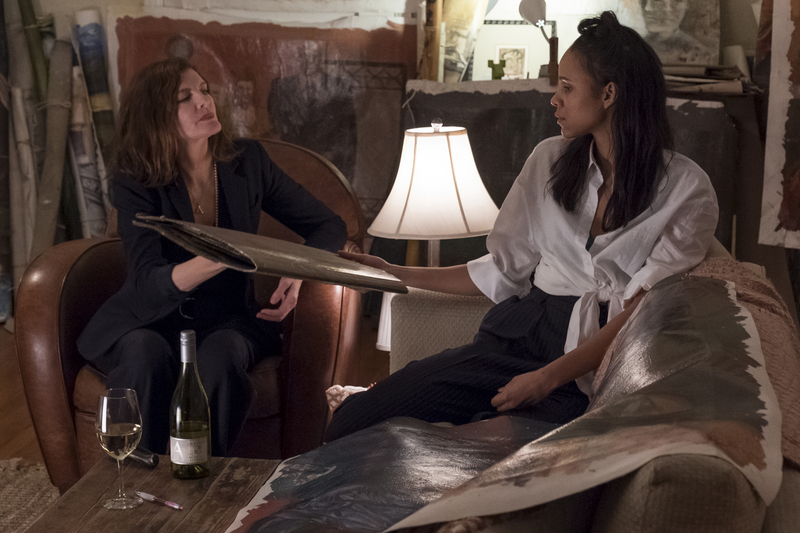 This brings us back to Velvet Buzzsaw, which Gilroy again wrote and directed on his own. And because it is more horror based and has Gyllenhaal in it, people were notably excited and declared it would be just as good as Nightcrawler! Being released on Netflix isn’t an issue, because Netflix movies can be good! People like to hype, I guess I am saying. Nothing scarier than hearing I would have to analyze and judge pieces of art. It is really hard to pick a main character to really talk about in this movie, but they want us to focus on Gyllenhaal with advertising, so I will. Morf Vandewalt (Gyllenhaal), probably a fake name, is an art critic in LA, one of the most famous and prestigious. He does fine work, people like him, he knows how to describe things like any elitist art man. One of the galleries he tends to review at has a young fledgling art dealer, Josephina (Zawe Ashton), who is having a stressful time in life. To top it all off, some man dies in her apartment, she finds the body, it makes her late for work and she is demoted. After finding out that all of his items are to be destroyed per his wishes, she checks on his cat and finds hundreds to thousands of pieces of art, all originals, all haunting and powerful. This? This could be her chance. You know, to deceive some people, act like it is her client, sell his art, get big in the community. Everyone is instantly amazed by the art, including her boss (Rene Russo), they want in on the action, want a piece of that huge jackpot of money they are about to create. But as soon as more research goes into the now deceased artist, they find he had a troubled past, and has a good reason to have wanted all of the artwork to be destroyed. Also starring Billy Magnussen, Daveed Diggs, Toni Collette, John Malkovich, Natalia Dyer, and Tom Sturridge. I WANT A DIFFERENT ONE OKAY? 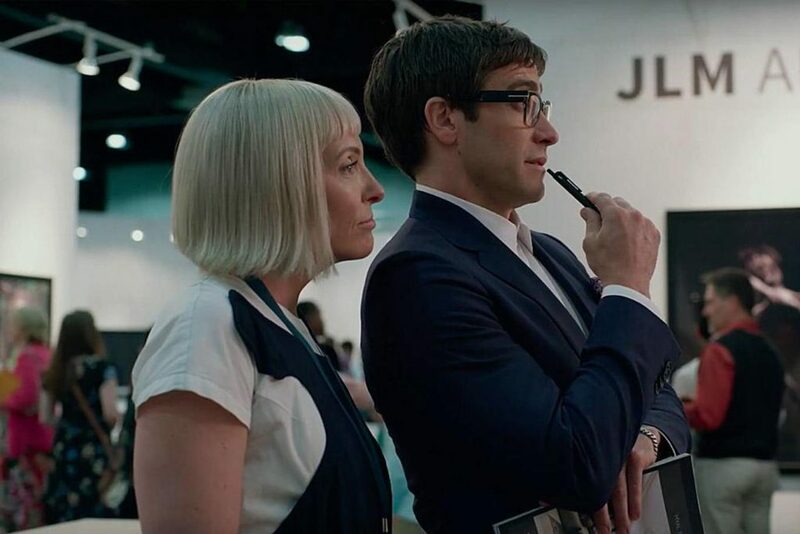 Velvet Buzzsaw, both the title, and the premise, is one that is able to draw you in slowly. It is set in a world that most of us are not a part of, dealing, making, selling art and making it a focal point of their lives. The rich, the elite. And that makes it a good film to have people die in. Too many horror films are killing off our teenagers at record numbers. What about these rich people? The snobby elites? Why not watch them die in creative art fueled ways? The concept is fine, but it definitely lacks the creep factor. It doesn’t seem to fully embrace the thoughts of horrors, and instead we get a strange drama/horror hybrid, where enough people definitely die, but never in ways that really seem exciting to talk about. The final death was a bit wicked, but other than that, it is mostly generic crazy death things. It would be more memorable if it just went harder in the genre, but this movie plays it safe. We don’t have enough horrors set in museums, which are clearly some of the creepiest places to be. This adds to the list, but doesn’t top that list.